Grouping children by learning level rather than age or grade could be a solution for poor outcomes. The writer works with Pratham and heads the ASER effort. This “teaching at the right level” model is straightforward and effective. The process focuses on children currently enrolled in Classes III to V.
The 10th edition of the Annual Status of Education Report (ASER) by Pratham, released last week, shows that over the last decade, basic learning levels for children in elementary school in India have remained low. Only about half of Class V children in rural India can read a simple Class II level text, and a similar proportion can do a two-digit subtraction problem with borrowing. While there are some variations across states and a few exceptions from year to year, it would not be wrong to say that at least half of all Indian children — close to 100 million — are at least two to three years behind grade level. We cannot simply sit and year after year observe, comment on or contest these findings. Something has to be done. The biggest educational challenge facing the country, its policymakers, practitioners and parents is: Are there proven, cost-effective and scalable interventions that can significantly improve basic learning in our primary schools? For the past decade, several players, government and non-government, have been working on improving the situation. Pratham has also been developing models and methods to improve children’s basic reading and arithmetic abilities. While several states are experimenting with innovative programmes aimed at improving learning, few have been tested rigorously for impact and scalability in a government-run primary school system. In the last decade, Pratham’s work has been rigorously evaluated by researchers affiliated with MIT’s Abdul Latif Jameel Poverty Action Lab (J-PAL). These impact evaluations use randomised control trial methodology and indicate that significant gains in learning outcomes can be achieved by re-organising and grouping children by their learning level rather than the usual grouping by age or standard. This “teaching at the right level” model is straightforward and effective. The process focuses on children currently enrolled in Classes III to V and starts by assessing children one-on-one using simple tools: Can they read a paragraph? Simple everyday words? Letters? Or nothing at all? And similarly for maths. For instruction, children are then grouped by their learning level, not grade. Teaching-learning activities and materials for each group are based on their level and aimed at enabling children progress to the next level and beyond. The goal is to ensure that students gain basic competencies in reading and arithmetic. The programme owes its success in no small measure to the establishment of level-wise groups, explicit learning goals for each group and tailored teaching techniques. This contrasts with the existing practice of teaching a prescribed curriculum to students of a given age, irrespective of their ability to comprehend it. The model lends itself easily to modification to suit local needs; it has been successful when implemented by government teachers within school hours or during summer holidays in several states, as well as when implemented by volunteers in classes outside of schools or as short bursts of “learning camps” during school hours. Two recently concluded randomised evaluations of “teaching at the right level” in Haryana and Uttar Pradesh provide promising insights into how this model can be scaled up successfully within a government school system. Results from the UP study are even more dramatic. In this study across 484 schools, locally recruited and trained volunteers and Pratham staff conducted classes for reading and arithmetic in short bursts of 10 or 20 days, or “learning camps”. These camps were periodically held in government schools during school hours for a total of 50 days over the 2013-14 academic year. At the start of this programme and the school year, only 15 per cent of students were able to read a simple paragraph or story. Upon completion of the programme and by the end of the school year, this number jumped to 48 per cent for students in schools that participated, as compared to 24 per cent for students in schools that did not. In an environment where regular school seems to be completely failing the children, just 50 days brought them to the level of the children in Haryana. 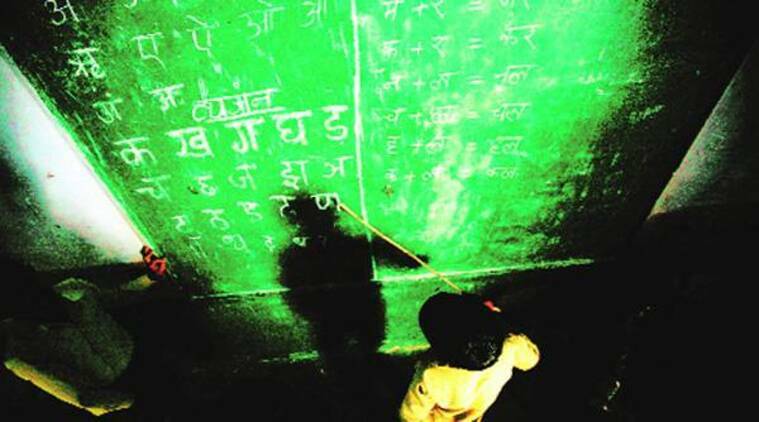 Stubbornly low learning levels are an endemic and growing problem across India. While NGOs like Pratham are scaling-up proven interventions like “teaching at the right level” to reach tens of thousands of students, there are many millions who need immediate intervention. This is where state governments become crucial. Over the past couple of years, state governments in Bihar, Maharashtra and Madhya Pradesh have adopted evidence-based models such as “teaching at the right level” and launched similar efforts. But more needs to be done to convert these pilots to fully scaled and sustained programmes, and to encourage other state governments to adopt interventions that have been rigorously tested for impact and are cost-effective. An underlying commonality amongst these first movers is a determination to admit that the education system is not delivering, and a flexibility to reorient their attention to ensure that students first gain basic competencies before more ambitious (but perhaps largely illusory) targets are set. The success of such programmes also rests significantly on the ability of the administration to take ownership of, lead and maintain the momentum of these efforts. India is waiting to reap its demographic dividend, but this will turn into a liability if we continue to be plagued by chronic low learning levels in the primary years. On the other hand, India is in the enviable position of having a home-grown, tested, simple and inexpensive solution to address this problem. The new government has announced programmes to focus on the early grades — Class I and II. This is important. But equally important are the children who have moved into higher grades and do not yet have the basics. Census figures suggest that, today, we have somewhere close to 80 million children in Classes III to V. What is now required is the political will to acknowledge that these children too need immediate and urgent learning support; the education system must move fast to set clearly articulated and achievable learning goals, and commit to reach them. The right to education should not just be the right to sit in a proper classroom in a school duly equipped with a storage room while a well-paid teacher muddles through a baffling curriculum.